As you prepare your mind, body and soul for 2019, we are excited to offer you two transformational programs; both of which are springboards to the permanent metamorphosis you crave. Registration opens January 1st for both! In a perfect world, you’d eat foods that nourish your body, mind, and spirit. Food that keeps your body strong, your mind humming, and your spirit soaring. However, in this imperfect world, you often find yourself feeling too busy to sit and intentionally enjoy a meal or inundated with questionable food options and feel like you simply settle to move on with your day. Even though you know better, you can’t seem to make changes that stick. Too often, because of what you put in your mouth, your mood slumps. Your sleep is sporadic. Your belly bloats. You have no energy. You feel as though you just can’t seem to break the cycle. 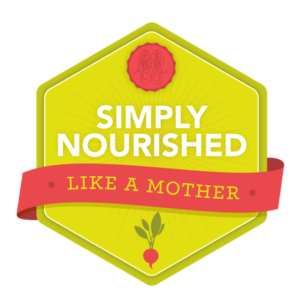 Created and led by Ellie Kempton, MSN, RDN, Simply Nourished Like a Mother is an innovative, eight-week program serving up bite-size, holistic changes to your diet that you can easily integrate on a daily basis. You’ll learn to eat for energy, not because of emotions; you’ll understand how your body digests different macronutrients (and why you should eat foods in a specific order); you’ll intimately experience how food can be healthy, healing, easy, nourishing, and tasty all at once. Along the way, you’ll systematically build simple nutrition habits that streamline into one another and blossom seamlessly into your life. You’ll also stabilize your energy (see ya, midday blahs! ), improve your digestion, and optimize your weight. Please note: We are limiting enrollment to 30 women. If you are unable to register this round, take a look at future dates! Computer is frozen? Control/alt/delete. Car’s check engine light goes off? Hello, mechanic. Toddler a cranky mess? Nap time for you my friend. Enter Metabolic Reset, an innovative, twelve-week program created and led by Ellie Kempton, MSN, RDN, that promotes sustained, smart weight loss, stable energy levels, and an enhanced sense of vitality that extends to all aspects of your life. The Metabolic Reset is designed specifically to target your body’s metabolism- the summation of every chemical reaction in your body. [Read: the engine + the wiring!] Ultimately, you’ll overhaul the way in which your body produces energy; over twelve weeks, your body will make the important transition from burning sugar to burning fat for energy. Detailed, specific phase-by-phase directions for optimal clarity + direction. Comprehensive food lists explaining which foods to savor and which foods to skip. Original Recipes + meal plans + grocery lists. Weekly fitness plan that complements the weekly nutritional protocol. Personalization by Ellie; each phase will by tailored + tweaked by Ellie to fit you and your story. Personalization = sustainability. A private Facebook group for to share tips, ask questions, and feed off the momentum. The end result? In twelve weeks, you will have pushed reset on your (beautiful, capable) body. Your metabolism will be renewed, as will your energy and mental focus. You’ll be well on your way to a body that will run efficiently for LIFE. Have participated previously in Simply Nourished Like a Mother. Currently have fifteen or more pounds to lose. Not be in the midst of a race training cycle. The Metabolic Reset protocol allows for minimal cardio for four weeks; if you have a half-marathon or marathon in the next five months, it’s best to focus on training. 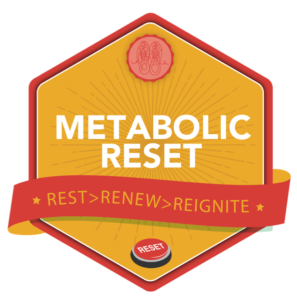 After your race, we’d love for you to participate in Metabolic Reset. In order to maximize personalized attention, we are limiting Metabolic Reset to 10 people.